Here is a lesson from a classic radio skit that shows how leaders might enhance their awareness and commitment. A classic radio skit by comedian Jack Benny involved Benny being held up on the street by a man with a gun. "Your money or your life," the gunman said to Benny, who portrayed himself in character as an inveterate tightwad. There was a long pause. The gunman repeated, "Your money or your life." "I'm thinking!" said Benny. "I'm thinking!" Whenever I remember that skit, I think of leadership. The portrayal of Benny's stage character, a skinflint equally concerned for his money as for his life, gives a kind of sideways, albeit humorous, glimpse into the nature of human commitment. For some people, there are things as important or more important than one's life. I submit that leadership involves such commitment -- maybe not as extreme as offering up one's life (though history clearly shows many leaders have) but none-the-less that calls for our total devotion. Leadership is not just position or even performance. It's much more. It's a life-quest. I am not saying it should be more important than your life; I am saying that if you are in a position of leadership, you should make your leadership a better part of who you are. Leadership is important to you in two ways. First, it is a career-maker/breaker. Most careers have at their basis leadership. A human resources director told me. "Brent, we hire people for their skills and knowledge but we promote them or fail to promote them or fire them for their leadership abilities (or lack thereof.) What we hire for and what we fire, promote for are two different things!" Organizations are hungry for good leadership. And if you can provide it, you have a great career advantage over those who can't, or at least those who provide it ineffectively. This is especially so if you promote the right kind of leadership. It doesn't mean being an order leader. The days of the order-leader are not just numbered. They're over. Today, leadership is motivational or its stumbling in the dark. Because in terms of achieving more results faster continually, the order is the lowest form of leadership. With globalization, businesses worldwide are undergoing changes as radical as any since the Industrial Revolution. With competition increasing dramatically, with the volume and velocity of information multiplying, with information becoming accessible to more and more people, with the traditional, pyramidal structures of order-giving flattening, leaders today need skills akin not to those needed for white-water canoeing. Order leadership founders in an environment where lines of authority are dynamic, information widely disseminated, markets rapidly changing, and employees empowered. In such an environment, new leadership, motivational leadership, is needed. In short, the leader who can "have" others get results. That means global leadership is essentially motivational leadership. That's the kind of leadership needed to achieve such success. Now, here's the tool to make that leadership happen. That tool is The Leadership Talk. Here's what the Leadership Talk is all about. When it comes to realizing motivational leadership around the world, there is a hierarchy of verbal persuasion. This hierarchy extends to people everywhere, no matter what their culture, what job they hold, or what ambitions they have. The lowest levels of the hierarchy are speeches and presentations. They communicate information. The highest level, the most effective level is The Leadership Talk. The Leadership Talk not only communicates information. It does something much more. It establishes deep, human, emotional connections with people. The question isn't, "Why is this connection necessary in terms of getting organizational results?" (After all, the answer is obvious. ), the question is, "Why is the Leadership Talk the gold standard for international leadership?" For one thing, I've had top leaders in top companies worldwide applying it for more than two decades, and it simply works. It's all about helping leaders get what I call "more results faster, continually." You can get those kinds of results on a global scale without the Leadership Talk. The Leadership Talk is motivational, action-focused, results oriented. When you use it, you'll find it works not only on an organization level but also on a deeply personal level. And it is in the realm of the deeply personal that leadership comprises the second way its important. This leadership methodology can be of great benefit to your life-relationships, not just your job ones. In fact, it's something you can devote your life to in every relationship every day. Your leadership or your life? With the Leadership Talk, your leadership IS your life. 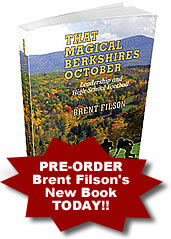 2006© The Filson Leadership Group, Inc. All rights reserved. The author of 23 books, Brent Filson's recent books are, THE LEADERSHIP TALK: THE GREATEST LEADERSHIP TOOL and 101 WAYS TO GIVE GREAT LEADERSHIP TALKS. He is founder and president of The Filson Leadership Group, Inc. – Celebrating 25 years of helping leaders of top companies worldwide achieve outstanding results every day. Sign up for his free leadership e-zine and get his FREE report "7 Steps To Leadership Mastery"